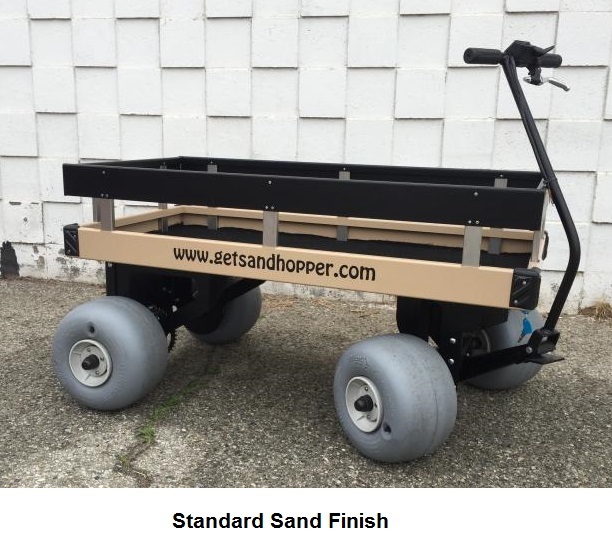 Sandhopper Electric Beach Wagon 24" x 48"
Up for sale here is the Sandhopper 24" wide x 48" long electric beach wagon, this model is the most popular size in the Sandhopper Powered Beach Wagon family. 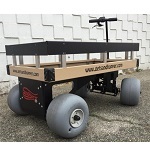 This battery powered wagon is fully motorized and features a variable forward and reverse speed throttle (0-4 MPH) and hand brake, both conveniently located on the specially designed steering handle. They are equipped with the famous Wheeleez low pressure tires, which are known to be the ultimate tire for beach sand use. Choose from 30 cm. x 18 cm. (12" x 7") or 42 cm x 20 cm. (16" x 8") tires. Now also available with 15" turf tires. 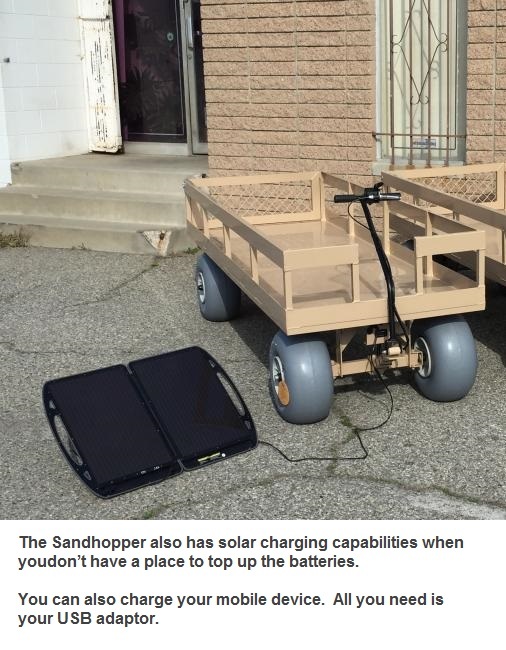 The Sandhopper has a standard range of 3-4 miles on a full charge (on the standard 24 volt 22 AH battery). Upgrade to heavier duty batteries for up to a 10 mile range. 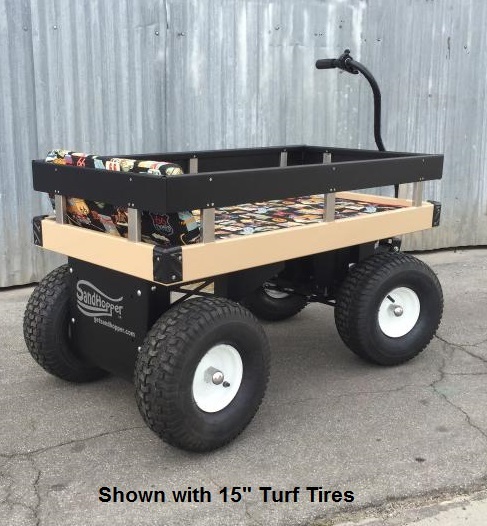 Will carry up to 500lbs with the 12" wheels and 700lbs with the 16" wheels. 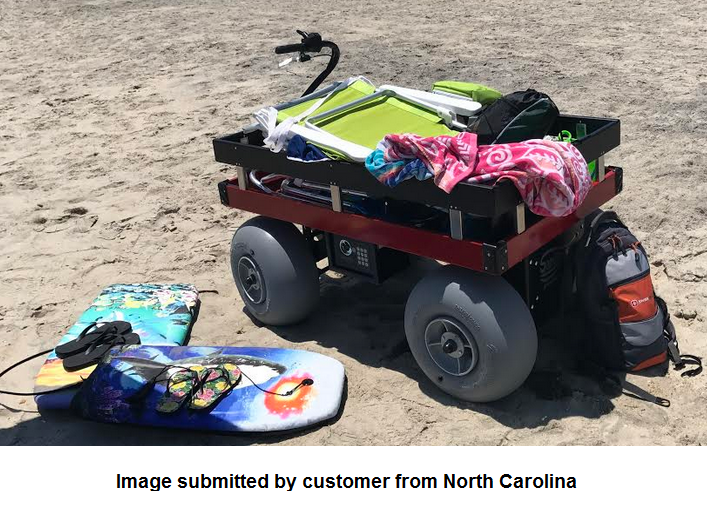 The Sandhopper is the ideal tool for families (especially young children, special needs, and elderly members) to take their equipment to the outdoors and enjoy the fresh air at the beach, which was next to impossible in the past. Full line of accessories to accommodate those families to make their adventures much more pleasant and enjoyable. It is also ideal for resorts located on the beach front, allowing them to make 1 or 2 trips to bring beach equipment, drinks, and food to the beachfront, instead of having to go back and forth numerous times. Besides being the best electric beach wagon, it can also easily go over steep hills, ramps and rough terrain. 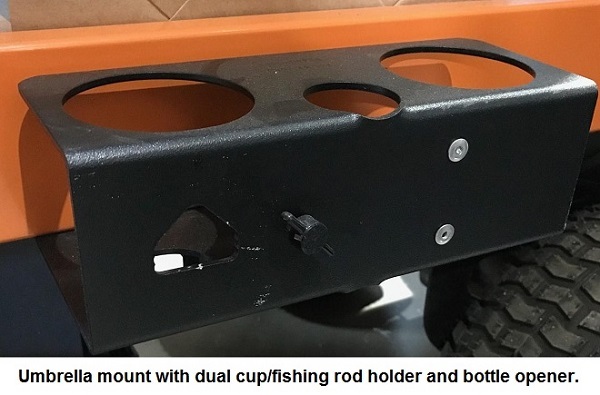 The all aluminum built cart is Made in the USA and comes standard with a sand color powder coat finish deck, silver uprights, and black rails. Special custom colors for the deck and rails include: Black, Blue, or Red, (delays lead time to 1 week intead of 3 days). 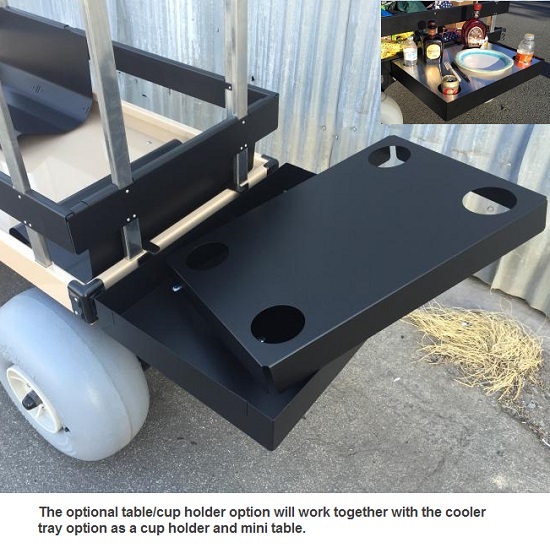 Wagon Length (without handle) 48"
Please Note: All accessories will come in either black or sand color. 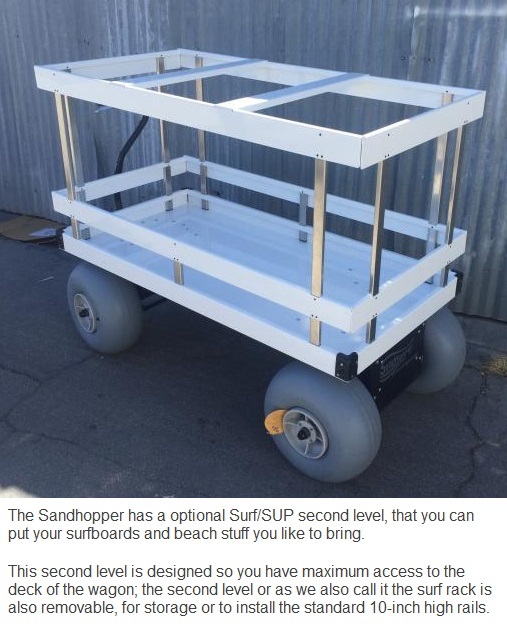 With the Sandhopper getting all your stuff to the beach will actually be something to look forward to. 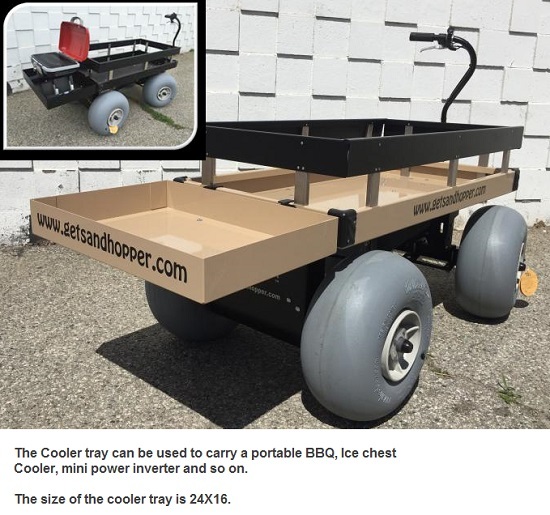 Be the envy of all beach goers with this amazing cart, beef it up with some value added accessories to make it even more unbelievable. 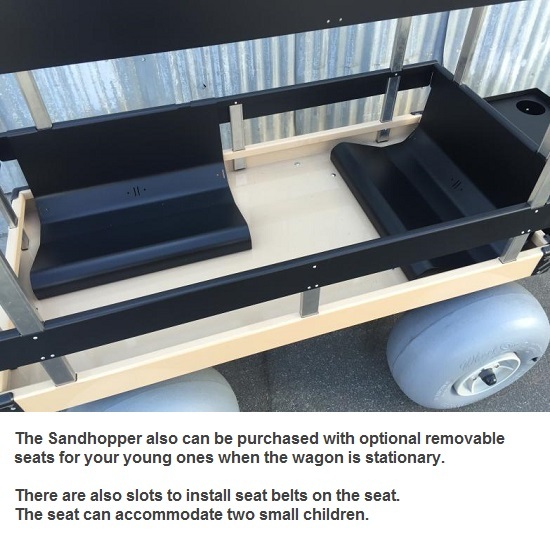 Families have been using the Sandhopper beach wagons in southern California for the past 12 years, now we are proud to offer it on the web, so you too can enjoy it, wherever you are! 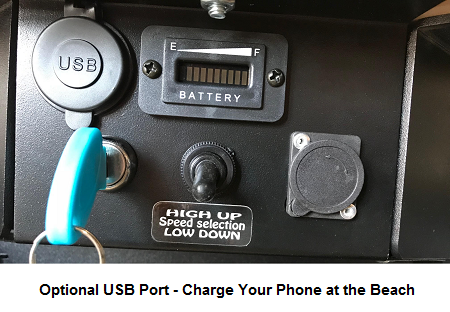 On the control panel of the High performance Sandhopper there is a toggle switch that can control the minimum and maximum speed of the Sandhopper. The braking system includes a brake handle that can apply the brakes to the rear wheels and can be used as a parking brake. 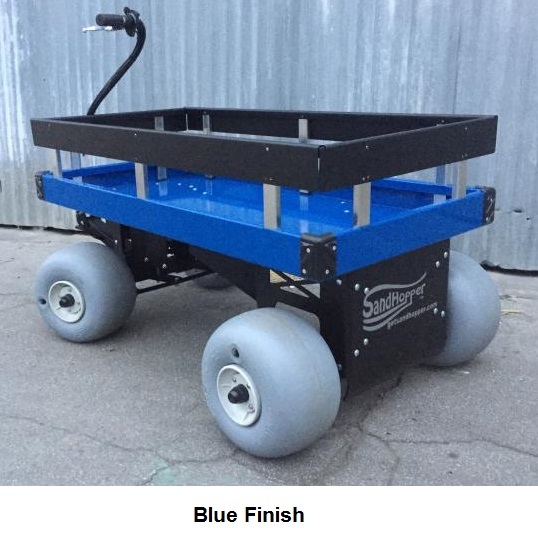 The controller also has a feature to apply the brakes electronically to the rear wheels via the high performance fan cooled drive motor, as the wagon slows down it also regenerates the batteries to maximize the range of the Sandhopper. 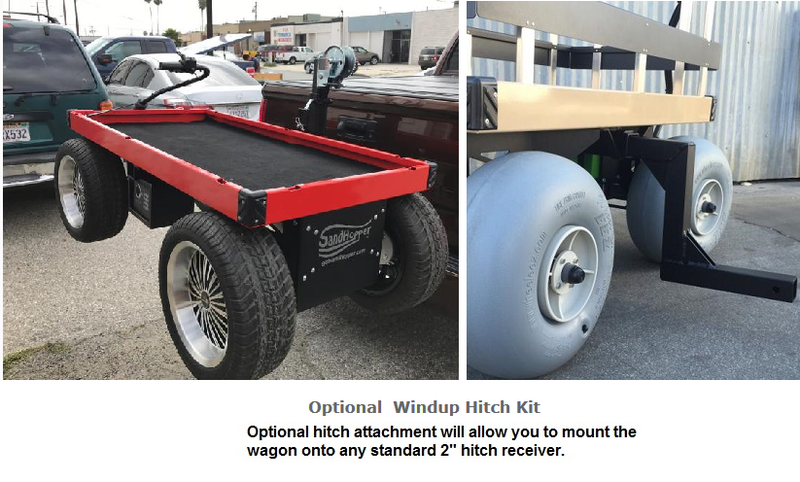 This setup is great for customers that go down steep hills and want maximum control of the wagon. Make sure to have a look at the Detailed Images up on top, to see the full line of available add-ons. Rear wheel stainless steel disk brake to control your down hill speed. 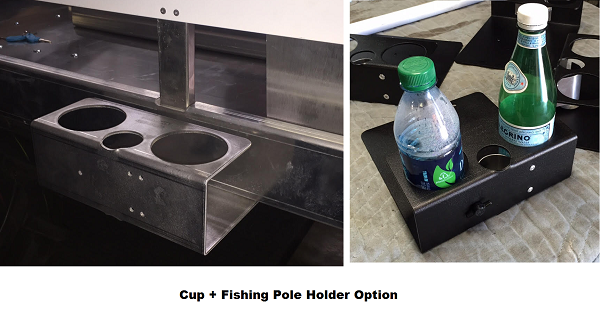 Side rails are all independently removable and are very resistant to deformation. 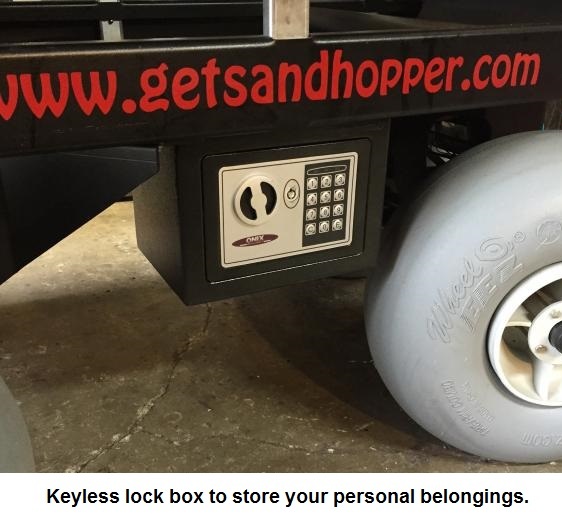 Total width of the Sandhopper is also dependent on the wheel type and size but they all can go through a 34-inch doorway. Only 3 welds on the complete wagon, what that means, is all the parts are serviceable and replaceable. 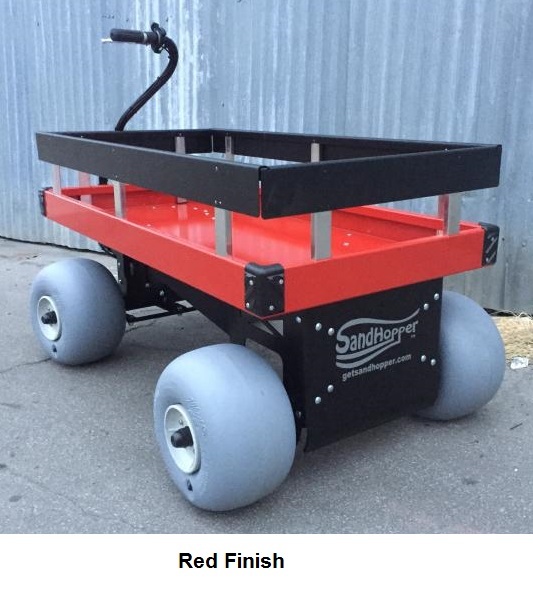 Years of perfecting the design to make the perfect wagon that will last for many years of usage in harsh environments. Thank you for the best beach asset known to mankind! This is worth every dime. We have a home in Waves and we love the beautiful dunes but they are difficult to navigate bringing supplies to the beach...not anymore! From supplies to carting kids this has stopped all complaints. It is like having your own valet service to and from the beach. Advantages: Speed, sturdy, loads the world! Disadvantages: I wish I can afford two! !